The great abolitionist Frederick Douglass comes back to life in this acclaimed theatrical performance featuring Fred Morsell, as he dramatically re-creates Douglass's famous speech on slavery and human rights. With an eloquence and intelligence rarely matched, Frederick Douglass became a giant in the struggle against racial injustice. He called upon all Americans of every color to work to fulfill the vision of a just society that was proclaimed in the Declaration of Independence and the Constitution. 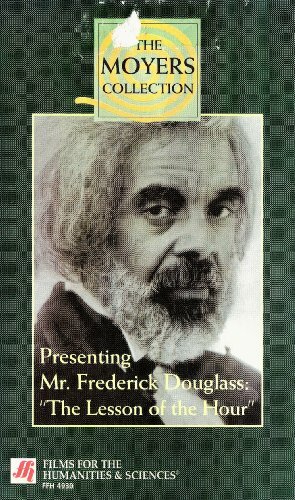 This program was filmed at the Metropolitan A.M.E. Church in Washington, D.C., where Douglass delivered his celebrated last speech, The Lesson of the Hour, over a century ago. A Bill Moyers special. If you have any questions about this product by Films for the Humanities, contact us by completing and submitting the form below. If you are looking for a specif part number, please include it with your message.